You decided to try essential oils , but you do not know what to do with it? Well, this guide aims to give you the basics to make a correct and conscientious use of essences. What I want to clarify right away is that it is not just perfumes ! Essential oils, as well as for perfuming the environment, can be used for personal care, animals, the garden and even the home. 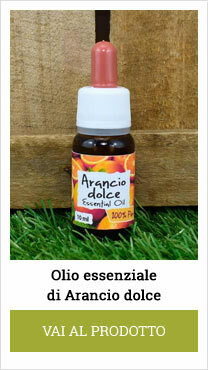 A few drops contain a very high concentration of substances with antimicrobial, antiviral and antifungal properties. Properties that make essential oils extremely valuable as a supplementary tool and alternative to antibiotics, for the treatment of many diseases of an infectious nature. For external use many essences are able to effectively treat problems such as blemishes and skin disorders, dermatitis, sunburn, cellulite, migraines, muscle, joint pains, or other. Their fragrance, passing through the nose, quickly reaches the nerve centers and is able to deeply modify our emotions. The applications are many and soon we will see them together. Essential oils are highly volatile and fragrant oil substances that are extracted from plants by distillation in water vapor (used to extract essences from flowers, leaves, bark, roots and seeds), or by cold pressing , procedure reserved for citrus peels (sweet orange, bitter orange, lemon, grapefruit, etc.). They appear as oily liquids , but unlike vegetable oils, essential oils are not fats because they evaporate . In fact one of the main precautions in the use of these essences, is to immediately plug the product after having used it. 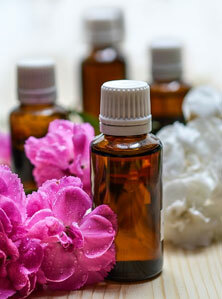 Essential oils are very powerful and extremely concentrated products . Suffice it to say that to produce 1 kg of essential oil can also serve tons of fresh product. The yield depends on the type of plant and can vary, even a lot, depending on the area of ​​cultivation and depending on the climate (temperatures, precipitation, frosts, etc.). So they are also quite expensive products and should be used with extreme care, without wasting them for futile things. In addition, you have to pay close attention to the dosages and methods of use, because, as you will soon discover, they are not without risk . Through the perception of odors, aromatherapy involves the sphere of emotion, memory, sensitivity and all cognitive areas related to the endocrine system and the immune system. Thanks to the research also know that the essential oils, based on the plant from which they are extracted, contain from 200 to 800 active substances, divided between alcohols, ethers, terpenes, esters, ketones, etc. These molecules are endowed with a high antimicrobial, antiviral, antifungal and antiseptic power . Are there any scientific studies on essential oils? Yes, there are hundreds of studies that attest to the antimicrobial effectiveness of essential oils against numerous pathogenic bacteria, including those considered among the most deadly, such as diphtheria, typhoid, colibacillus and other streptococci. All these pathogens die within a few minutes when they come into contact with essential oils. You will also be interested to know that for many years essential oils have been used in several cutting-edge medical centers, mostly abroad (unfortunately) and particularly in France, a country where aromatherapy is highly appreciated and considered. One of the main pioneers in this field is not by chance a Frenchman. I'm talking about dr. Jean Valnet , physician and surgeon who served as a doctor of the French army during the Second World War. His great experience in the field of phytotherapy allowed him to treat many war wounded with herbal remedies obtaining results much above average. In fact, already in those years he had noticed the limits and side effects related to the abuse of antibiotics , which led him on many occasions to opt for alternative and natural treatments and especially for essential oils. He considered essential oils as the "atomic" version of herbal medicine, as they are extremely more powerful and concentrated than any other natural remedy. The dott. Valnet has published three volumes that deal, in a very thorough way, with the properties and use of these extraordinary essences. Based on his studies and especially on the basis of his experience, he argues that not only can essential oils replace antibiotics, but they are extremely powerful, as they act on a wide spectrum and above all are able to modify the soil, ie the general state of health of our organism, going to eliminate the real cause that made the weak and easy prey of the pathogenic microbe. a few drops are enough : in order to produce the desired effect, very few drops are sufficient and well diluted. they act on a wide spectrum : only one essential oil is active on a great multitude of bacteria, viruses and fungi. bacteria can not resist them : essential oils do not cause antibiotic resistance, so bacteria can not resist it in any way. do not damage the bacterial flora : as a "smart bomb" essential oils affect only the "bad", without damaging the good bacterial flora of the intestine, or other areas of the body. enhance the immune system : essential oils also have the ability to stimulate the body's natural defenses. Essential oils are not limited to fighting viruses, fungi and bacteria, but also have the ability to improve many other aspects of our lives. Mood Diseases : through their perfumes essences are extremely effective in counteracting mood and psyche disorders. We speak of diseases that today we are used to counteract with anxiolytics and psychotropic drugs, such as anxiety, nervousness, panic attacks, depression, insomnia, etc. Metabolic diseases : in his writings the dott. Valnet states that it has often used essential oils to treat patients with metabolic problems, such as obesity, diabetes, hyperglycemia, hypercholesterolemia (high cholesterol), etc. Digestive problems : as well as the plants from which they are extracted, many essential oils, both ingested and applied through the skin using massages (for example on the stomach), are able to facilitate digestion, deflate the stomach, relieve the pain due to a colitis, fight constipation, diarrhea and much more. Diseases and imperfections of the skin : some essential oils are good to treat diseases and skin problems of various kinds. For example, lavender is extraordinary for eliminating acne and boils, but also dermatitis, burns and sunburn. Sweet orange is an excellent anti-age and is very effective for eliminating cellulite (the same applies to lemon). Muscle and joint pains : other essential oils, on the other hand, are particularly useful for relieving pain caused by arthritis, or a bruise, or more simply for back pain or sciatica. This is the case, for example, with thyme, peppermint, rosemary, etc. These are just a few examples, the methods of applications are almost unlimited and many are yet to be discovered. Before talking about how to use let's start by saying that essential oils are very powerful and, if used badly, or in overdose, may have unwanted effects. The first thing to know is that essential oils are extremely acidic and should never come into contact with the eyes. Then there are some essential oils that can be decidedly toxic if taken in overdose. For example, it is enough to ingest 1 gram (more or less 45-50 drops) of essential oil of hyssop, or sage, or rosemary, or of wormwood, or of fennel to provoke, in predisposed subjects, epileptic crises . Always with the essential oils just mentioned, even the continuous assumption of small doses for prolonged time (for example more than a month), can lead to these consequences. So if you're going to hire them internally, my advice is to get you guided by a qualified and experienced aromatherapy person. Here are the cases in which it would always be better to avoid the use of essential oils by contact, or by ingestion. First three months of pregnancy : all essential oils, both internally and externally, should be avoided in the first three months of pregnancy. Only very few essential oils can be used in the remaining months. Lactating women : essential oils through the bloodstream pass into breast milk, so they should be avoided during breastfeeding. Children : many essential oils can cause nervous problems in young children (under 6 years). Also in this case the essential oils allowed are counted in the fingers of one hand. Epileptic people : in this case the essential oils of fennel, hyssop, rosemary (Ct camphor and Ct verbenone), peppermint and sage must absolutely be avoided. Allergic people: people allergic to that particular plant (or botanical family), must abstain from using its essential oil as well. If essential oils are certified for food use , they can also be ingested. In our case all the essential oils are 100% pure and natural and certified for food use. Use internally is used primarily to treat infections of different kinds (respiratory, digestive, gynecological, urinary, etc. ), digestive tract, metabolic problems, intestinal worms, etc .. Given the power of essential oils these should always be taken at low doses (from 1 to 3 drops at a time, up to three times a day). Most essential oils should never be taken pure , but always diluted in substances such as honey, malt, sugar lumps, vegetable oil or alcohol. In fact, being super-concentrated substances, taking them as well may irritate the mucous membranes. Antibacterials: cinnamon, lemon , oregano, grapefruit, tea tree oil , thyme, savory, etc. Antifungal: cinnamon, eugenia, santoreggia, tea tree oil . Against the swelling: green anise, sweet orange , tarragon, fennel, lemon , marjoram, mint , oregano, rosemary, savory, thyme, ginger, etc. Digestives : laurel, basil, bergamot, chamomile, tarragon, lemon , mint , verbena, etc. Vermifuge : bergamot, cajeput, chamomile, cinnamon, tarragon, eugenia, eucalyptus , lavender , lemon , savory, thyme, etc. Just to name a few, but the possibilities of use are really endless. As I will never get tired of repeating essential oils are very powerful substances, are not without side effects and, especially for internal use, should be used with caution, possibly under the guidance of a qualified person and expert in aromatherapy. Some essential oils taken at high doses, or for prolonged periods (for example more than 1 month) can be toxic to the body . It is the case of the essential oil of hyssop, artemisia, rosemary, sage and fennel, which in overdose and in predisposed persons, can cause epileptic seizures. Ingestion of essential oils is always advised against in the first 3 months of pregnancy and lactation, as well as for children under 6 years (except for rare exceptions). The cutaneous application of essential oils is undoubtedly the fastest way to treat skin disorders, muscle and joint pain, circulatory problems and many other problems that we will see shortly. Some essential oils, more delicate, can also be used pure (it is the case of lavender and tea tree oil ), others will be used with more caution and diluted in other vegetable oils, or creams. Poor circulation : local massages on the legs, arms, etc. Essential oils can be used pure, or diluted with creams, or vegetable oils (almond oil, sunflower oil, olive oil, oleolites, etc.) to treat the ailments we have seen before, but also to dissolve the tense muscles because of stress, or because of sport, or intense workloads. Most of the essential oils, if applied pure, can be irritating to the skin , so it is advisable to use them diluted with fatty substances (creams or vegetable oils). Usually 3 drops (for adults) and 2 (for children) mixed in a teaspoon of vegetable oil or cream. 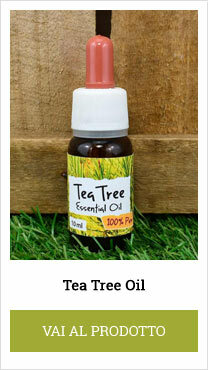 Among those we can also use pure, as very delicate, we find tea tree oil and lavender . Antimycotic (against mushrooms) : cinnamon, eugenia, santoreggia, tea tree oil . Anti-tumoral (for headaches) : lavender , lemon , lemon balm. Antirheumatic: cajeput, chamomile, cypress, tarragon, lavender , lemon , niauli, oregano, rosemary, sage, thyme, etc. Balsamic: eucalyptus , niauli, pine, thyme, turpentine. 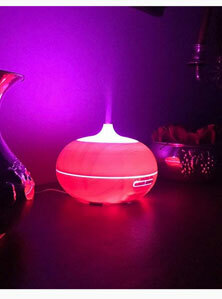 Relaxing : chamomile, jasmine, incense, lavender , marjoram, blackberry, rose, sandalwood, verbena, ylang ylang. Even in this case I have mentioned only a few, to list all the properties and essential oils I should be here to talk half a day! All citrus essential oils (orange, lemon, mandarin, grapefruit, etc.) are photosensitizing! So they should never be used before sun exposure. Using them in a bad way is likely to burn, or promote the formation of skin spots. Of all five senses, the sense of smell is the only one directly connected to the limbic system of the brain, our center of emotional control. Perfumes can affect our emotions and this makes the essential oils perfect for treating all those disorders that affect the psychic sphere (depression, anxiety, panic attacks, insomnia, etc.). It is the simplest method. Just take a handkerchief to be impregnated with 2-3 drops of essential oil. The scented handkerchief will be breathed several times during the day. In this case you can use candle diffusers, or even better than the electric diffusers .The best ones are ultrasound ones. Add a little water and a few drops of essential oil (from 6 to 10 drops for a full glass of water). The diffusers evaporate the water through heat and evaporating the water "drag" with it also the molecules of essential oils, perfuming the environment and influencing our emotions. We can use them for example to relax, or to stimulate concentration during work, or study . Since most essential oils also have antimicrobial and antiviral properties, this technique is useful for spreading the molecules of essential oils into the room and thus sterilizing the environment . An excellent method to reduce the chances of infection, especially if you have at home young children, elderly people, people immunocompromised, or simply debilitated and at risk of infections. Pour some boiling water into a basin (possibly not of iron) and place it on a table. Sit in front and add 6 drops of essential oils. Bend over the basin with a cloth on your head to isolate you and breathe deeply. Aerosol is recommended to treat all respiratory conditions , but it is not recommended for those suffering from asthma. In this case I would advise you to use one or a mixture of essential oils among those with antiseptic action (read below). NB: Before starting, remember to take off your glasses, or contact lenses. Essential oils Tonic brain : lemon , nutmeg, rosemary. Through the baths, the essential oils do not act only on the epidermis, but penetrate quickly the skin covering reaching the blood and, through the latter, they act on the tissues, on the internal organs, on the endotcrine glands and on the organism in its whole . For this reason, the bathrooms are not only a way to relax and to improve the appearance and health of the skin, but also represent a real natural therapy for the health of our entire body. Slide the water into the bath at a temperature of about 35-38 ° C. At higher temperatures you risk reducing the effectiveness of essential oils. In addition, too hot baths are not recommended for those suffering from circulation problems. Close the water and pour the essential oils (about 10 drops). 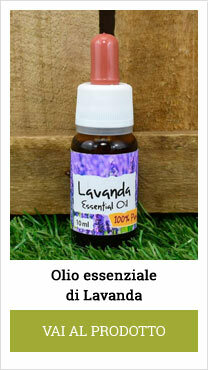 Since the essential oils do not dissolve in water, to facilitate the dispersion it is necessary to mix them with a spoon of neutral base for the bath, or with a spoonful of milk. Stay in the bath for about 15-20 minutes. After bathing, dry yourself without rinsing, wash yourself. Relaxing essential oils : bitter orange , Roman chamomile, rose geranium, incense, lavender , marjoram, neroli. Essential energizing oils : lemongrass, mint , rosemary, savory, thyme. NB: All information published on this site is informative and should not be considered as advice, or medical prescriptions, or otherwise.